These days, an ERP system is a necessity, not a luxury. You need a system to help you operate and manage your business. But more you need to do? Former analyst at the Gartner Group, Lee Wylie in 1990 introduced the world to the idea of systems enterprise resource planning (ERP - Enterprise Resource Planning). During its history of over 20 years the ERP software has undergone a major transformation. While the first systems were purchased and used primarily for financial applications, order management, purchasing and manufacturing, systems today are designed to be used throughout the company. ERP software systems include leading business intelligence (BI - Business Intelligence) and performance management (CPM Corporate Performance Management) and integrated applications for you to track the performance of your company through its critical metrics business. Newer systems include applications for managing the supply chain (SCM - Supply Chain Management), managing customer relationships (CRM - Customer Relationship Management) human capital management (HCM - Human Capital Management) management of product life cycle (PLM - Product Life cycle Management), the asset management company (EAM - Enterprise Asset Management) and expense management (EM Expense Management). If your ERP system dates back to the last century, chances are you have paid a lot of money for this customization and integration and hands tied when it came time to upgrade. As a result, you have lost at least a decade of functionality. Similarly, the industry has changed since you. Was the last demonstration of an ERP system? Business processes have evolved and are more connected than ever with their customers, suppliers and other business partners. How this survey relates to your business? For many companies, the problem reduces to position the company for growth and have business systems that can accompany such growth. For others it is to reduce costs and increase customer satisfaction or facilitate business. According to Aberdeen Group survey, "medium and large companies see their ERP software as a system able to manage and control costs, while smaller growth companies that are seeking an ERP to manage the same, but with a higher priority on customer satisfaction. We face pressures to innovate and offer more value to customers. Can your system keep up with the pace of change in your industry? They are your business processes flexible enough to adapt as your business grows and changes? Can you get the information you need, when you need to make a timely decision? Can you access all your data no matter where they are stored or reside in that system? Can you easily update your software when needed? Can your software to manage the growing needs of your company? Does your software is user friendly and easy to use or workers spend more time "fighting the system" focusing on its core tasks? Do you have to manage complex products, supply chains and sales channels while satisfying a volatile demand? According to IDC Manufacturing Insights, complexity is expected to increase in many areas of business and success will manage this complexity better than your competition, achieving exceed customer expectations. Once you have identified your reasons to buy a business system, you have to find out what they want to achieve. What will be your major initiatives and what they need to deliver ERP system meet its business objectives? Many companies make the mistake of trying to solve business problems with software. The software is not part of this stage. Make a list of the goals you want your company to achieve, no system characteristics. In other words, avoid creating a list of "bottom up" with items such as the need to send purchase orders to suppliers by email or the need for a report of absenteeism. So what you want to achieve, what are your goals? Given a list of objectives the effect of the decision is greater and involves such training their employees and streamlining business processes that can transform your culture and increase profitability. Interestingly, in the IDC study, where the main driver was the growth initiatives focused on investment in product innovation and deliver value-added services. However when attention is focused on the costs, attention is centered in the shortening of the supply chain and reduce the number of suppliers. In comparison, a recent study by MPI Group found that the most important operational objectives between manufacturers were to contain and reduce production costs (59% of respondents cited as "very important") and contain / reduce purchase costs ( 51%). Most manufacturers - 76% - reported that increased employee productivity was either "extremely important" or "very important"
The MPI Group, "Manufacturing Growth Study Executive Summary: Strategies for Recovery and Renewal in 2010 and Beyond," 2010, p. 4.. In relation to the supply chain, the MPI study found that the most important targets for manufacturers were "improving the effective cash-flow" - from being paid until charges - (24% of respondents rated it as very important), or "improve forecasting" (23%). Once you have established your goals and initiatives, it is time to rank them in order of priority. Select three to five most important that your company needs. Some indicators should be determined on these targets to increase its focus. This stage may well not include software, but is focused on the goals of your company vision. Then ask yourself if business leaders in your company - people who finally validate the decision - match your vision. If they disagree, you will have to convince them they agree, or change the list. 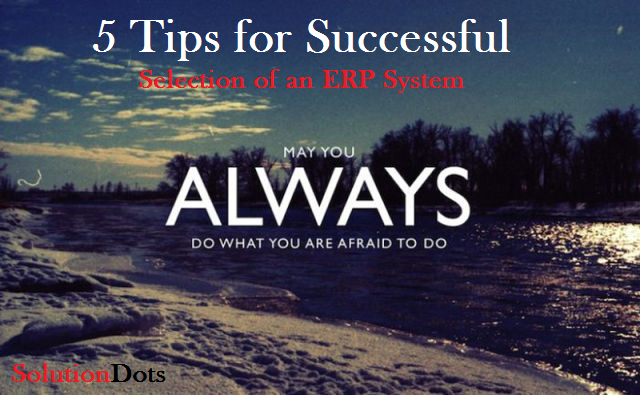 It is vital to get the acceptance of these leaders because the choice of an ERP system is a business decision, not just a choice of IT. Remember, that the list contains its goals, therefore judge the software packages based on how well they help achieve these goals. Creating a vision has accomplished something that the vast majority of the search teams did not have: You have goals. Although it seems unlikely, it is often true. Normally companies (or hire consultants) create a long list of items that the software should do (RFQ Request for Proposal). These items are grouped by function (order entry, offices, etc.) and then classified according to the level of importance (mandatory, nice to have, etc.). These lists do not replace the essential need for the objectives and can create more noise and confusion than clarity. The selection and implementation of an ERP system is an important and expensive project. Although the guide of their selection process should be your business needs, you obviously must also pay attention to technology. No matter how careful you have been with their strategies and processes, if the software you select cannot offer the functionality you need it will become a barrier to achieving your goals. Modern ERP systems offer a feature that covers all the functions of a business, such as manufacturing operations, finance, customer relations, human resources, supply chain, etc. With this in mind, you need to focus on business priorities and seek differentiate between different offers ERP software providers. They are ready to serve the whole company. ERP software needs to foster an environment of decision making and be flexible enough to support their business processes rather than force it to change its processes to comply with the way the system works. The software must be able to meet the needs of your business and accompany their growth properly. Personalization is a very important part of the equation functionality. Can the system do what you have to do anything out of the box or will require the supplier (or consultants) have to customize to provide the functionality you need? Ask yourself: Can this ERP system supporting all business processes that need speed? Do you have size and functionality we require? You can grow our business? Does everything have to do anything else with "out of the box" or we will need to invest in customization? Your ERP system can have all the power in the world, but if users can not find a way to do their job, will be useless. The ERP software must match the way your company operates, putting all the information systems that manage its business within reach of a click. Information should be presented in a way that makes sense for your personal and not force them to switch between disparate screens, log on to a different system and again and waste time looking for what they need. Ask yourself: Does this ERP system in a way that makes sense for my organization? Does it present information and functionality in a clear and concise manner when and where they need to make timely and intelligent decisions? The ERP system tailored to your business needs. Not vice versa. Discrete manufacturers (such as metalworking and plastics or furniture makers) have different needs and processes that manufacturers of process types (such as food, chemicals or pharmaceuticals). Your ERP system must be compatible with their way of manufacturing. For example, if you are a manufacturer of engineering to order, you want a system with a strong project management functionality, able to manage the whole process from quotation to final product, placing focus on costs. Similarly, if you have implemented lean manufacturing principles (Lean Manufacturing), you'll want a system that provides real-time alerts to drive processes Just in Time (JIT - Just in Time). Ask yourself: Is this ERP system supports the way my company works? Is it compatible with our manufacturing processes and priorities? The pharmaceutical manufacturer has little in common with the manufacturer of auto parts. Sales, production, supply and accounting requirements could not be more different. Its ERP systems must recognize, accept and meet these structural differences, specific to each industry. Ask yourself: Is this ERP system has specific capabilities to support best practices and regulations of my industry? Your ERP system needs to connect to other specialized systems and applications that support the business processes of your company special. Whether these critical systems reside within the four walls of the plant, in a remote place or in the premises of its main supplier in another continent, you. Needs to connect seamlessly and maintain the data flow running smoothly. Ask yourself: Can this ERP system to communicate with all disparate data sources in my extensive supply chain? Are you running on a platform (servers, databases) compliant platforms are already using? Installing a software ERP does not mean run strictly on premises or on their own computers. Modern systems offer more installation options than ever. If you have an IT department strong, able to can manage updates and data security you may want a system to run on their own servers.\ However if you are looking to reduce their upfront costs and have it work faster, you may want to consider the software as a service (SaaS - Software as a Service) or models in the cloud (Cloud Computing). In this model, you license. The software use rate. The provider offers a comprehensive data center management, hardware, backups, updates and all the support. Small Business: For example, one of the first companies in the cloud ERP SolutionDots is a small biotechnology company. Instead of investing in servers, infrastructure and IT specialists, they were signed to supply Cloud for a very low monthly fee. That allowed them to use the money they would have spent on the traditional model of hiring more scientists, who are the heart of your business. Large companies seeking lower cost solutions to support new acquisitions or distant sites: The CIO of a known US manufacturer you are using software that is not Infor. But just bought another company with relatively small plants in six countries. He thought expand their ERP system to new sites, but it did not convince the price of additional licenses or the need to increase the already costly data centers and hire more people to support. Instead SolutionDots hired for a solution in the most simple and cost effective cloud. , you have to take some precautions. 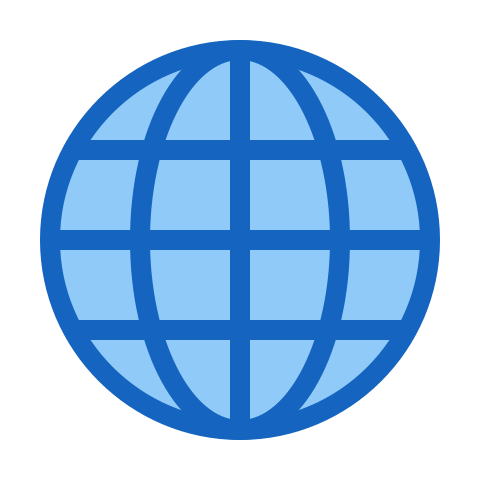 Although the software can run on a website (hosting) anywhere in the world, you still need a provider with local presence anywhere where people are using the system. Some companies found difficulties cloud provider who chose as I could not support them in Latin America, Eastern Europe or the Asia-Pacific region. If you choose a partner such as Infor, we will ensure your company have global support, whether your ERP runs on its own computer center as if done in the cloud (Cloud) or on a subscription model (SaaS). SolutionDots and its channel can also create a hybrid solution that offers any combination you want. Ask yourself: How can you implement this ERP system? Is it flexible enough to move to the cloud, if we have to add capacity quickly? ¿Installed on my computer center or in the cloud the appearance and functions of the system are the same? If divided into several parts are you can communicate with each other? And with other systems? My provider has a presence where I have users? As much as we all like to think that money is not a factor in our business decisions, the fact is that if very important. With this in mind, the big question is: What will be the cost of the ERP system? The answer is "it depends." There are two types of costs to consider. The first is the initial purchase price. This includes software, hardware, maintenance, training and support services. The actual price will be based on the scope of your project, the size of its implementation, geographical coverage and other related factors. The second cost to consider is: How much will it cost the life of the software? What is the total cost of ownership (TCO - Total Cost Ownership)? According to a survey conducted by IDC Manufacturing Insights, manufacturers maintain their ERP system for 10-15 years on average, so it is clear that during this time the system will grow with your business. Aberdeen defines the total cost of ownership or TCO as a combination of the cost of implementation effort, cost software, integration costs and the costs of maintenance and support. TCO also includes its investment in human resources, this is the cost of the people in the company necessary for the implementation, integration, maintenance and support. Lower TCO is much lower than the initial purchase price. It is, above all, look for ways to reduce the time and costs required to implement, train, support and upgrade. It is not just about cost. This is especially valuable. Infor and its channel software approach every project with the same goals in mind. How can we make your people more productive? How can we increase the competitiveness of your business? These are the factors that will help you get the best Total Cost of Ownership (TCO) of your ERP system. Now that you've determined that your business needs an ERP system, what is your strategy to choose the right system, what their software needs, and what is the cost or TCO it is probably time to make the most crucial decision. Who should buy the system? Most ERP systems will be able to meet their basic needs and provide the bulk of the functionality you're looking for. So you need to "dig" the supplier with whom he is working on how to handle the implementation and how it helps its customers (companies like yours) to be successful in the long term. Take time to weigh all the factors. Your company will be "married" to the provider of ERP system for a long time. Your ERP system is a key piece of software for your company, which will be in use for a long time. Therefore you. Want to be sure that the company you choose will be there to give support, upgrades and new versions in 10, 15 or more years. So you. I wish that the company is financially healthy, have organizational stability and a solid reputation for providing exceptional customer service. a. Experience in your industry - this company can provide customer references within your industry in general? And in his particular specialty? Do they offer the best business practices as native functionality of the ERP system? b. Global and Local Presence. - This provider offers services in countries where you have business? Do you have a local presence where you. You need? In the languages that your company uses in places where it operates? c. Vision - What is the technological vision of this provider? Do your future innovation initiatives will benefit your business? d. Research and Development Capacity - What is the investment and road map (Roadmap) improvements to 3-year product they are offering? e. Customer Service - What is the history of this provider in customer service? How ranks in satisfaction surveys companies independent observers? How many clients do you have? f. Credibility - What current customers of this supplier say? Review websites, social networks, etc. - beyond references what the street says? Does this provider is reputable? Your ERP system is only as good as its implementation. So before choosing a particular provider carefully consider ERP system as will help to implement and support your project. Many factors must be taken into account when considering the time required to implement a new system or upgrade the existing the last release. Many of them have not changed since the first ERP implementation. You still need to consider the quality of the data in the existing system which will be used to migrate to the new ERP system, the capacity and expertise of the people who integrate the implementation team, the number of employees who will use the software, the scope of the applications that integrate the system locations (local-remote) where the system is used, the integration with third-party applications and adaptations (changes and additional functions) to the system. Having helped 70,000+ customers around the world to go live with your system, Solutiondots and its channels are among the leading experts in this type of project. We also have a distinct advantage over our main competitors, we like to implement ourselves instead of saying that it "contract to another supplier." We are also the only ones that offer fixed prices for deployments instead of offering "time and materials". We will work with your company and the success of your project will be in our best interest. All this vast experience is included in the global Solutiondots Implementation Methodology (IIM - Solutiondots Implementation Methodology) based on years of experience refining and improving the phases and procedures which constitute implementation best practices, as well as standards provided by the Project Management Institute (PMI - Project Management Institute) and the Body of Knowledge Project Management (PMBOK - Project Management Body of Knowledge). In addition to the procedures of pre-implementation and post-implementation, repeatable methodology consists of five phases of a customer to another, home, design, construction, deployment and closing. Solutiondots professional consultants and channel partners will guide you through the entire process, from the initial meeting (kick off) to create a conceptual solution, develop workshops and pilot testing, go live and formally deliver the working solution. As a result each implementation is delivered on time and within budget. Solutiondots has developed some innovative tools and technologies to accelerate the deployment cycle. You. Will have heard of EPAK (Enterprise Performance Accelerator Kit) a tool to manage learning and documentation ERP system. EPAK helps its employees to adopt Solutiondots solutions (and other vendors) faster so you. Obtained before the return of your investment. 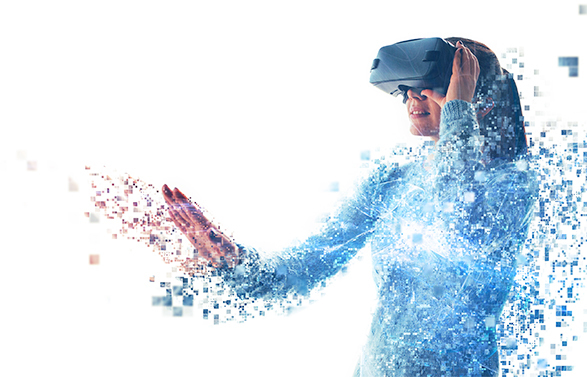 This powerful simulation platform supports all implementation requirements, from pre-installation to after the live output, and is flexible enough to work with the IT infrastructure of your company. When you are evaluating a vendor look beyond the initial sale and the implementation process. Also consider how the provider will support the after-live system. What tools and resources available to the supplier to help you succeed in the long term?. Solutiondots and its channel partners are committed to being leaders in Technical Support. For that reason our offer; Solutiondots Support, which redefines the traditional bracket, far exceeding what customers expect from their software vendor. With Solutiondots customers get a specialized, personalized, proactive support to keep critical business processes running at full speed all the time. Solutiondots also offers online communities, so that you. Can join the social network to interact with colleagues who have the same product or environment configuration, or industry or who face the same challenges. Solutiondots is redefining the ERP software to make it easier to deploy, use and manage. Let us help you find the right one for their specific business needs ERP system.